Saori Nakazawa studied at the Toho Gakuen music high school and college. She won prizes in the Student Music Concours of Japan, the Japan-Austria Cultural Association’s audition. Saori was appointed Seiji Ozawa Music Academy Orchestra concertmaster by recommendation of Maestro Ozawa. 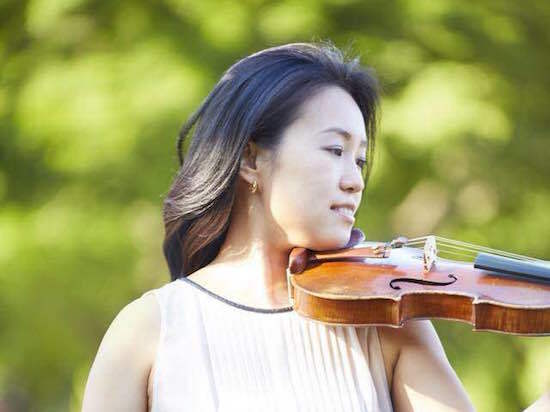 She is passionate about chamber music and collaboration with other genres, and she has peformed with dancers, poets, artists, musicians including chinese traditional orchestra, Orchestre de Paris concertmaster Roland Daugareil. She is also actively performing and premiering new music by composers such as Younghi Pagh-Paan, Regis Campo, Joji Yuasa, Toshi Ichiyanagi and so on. She has been invited to perform to international festivals and concerts including Sound Bridge Festival (Malaysia), Hong Kong New Music Ensemble (Hong Kong), Suntory Summer Festival (Japan). Saori Nakazawa selected to Tokyo Wonder Site’s artist-in-residence 2013. Member of Japan Finland Contemporary Music Society.